Last year, Brock Sandwich (@BrockSandwich) was voted #1 for the best sandwiches in Toronto via BlogTO and it’s easy to see why. I love a good sandwich and I don’t mind trekking out of my way for a good one. And these sandwiches are worth the trek. 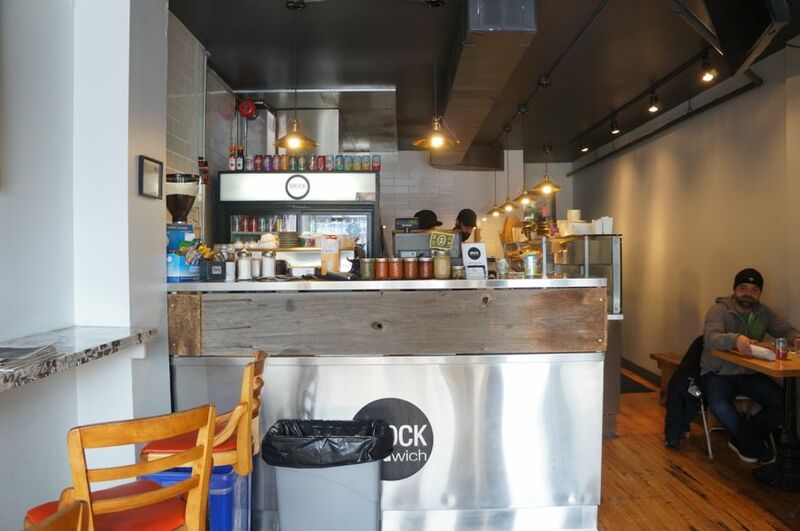 Located on Bloor, just east of Lansdowne, this small sandwich joint is primarily a take-out shop. Seating is a little cramped and quite limited – my guess is that it could seat 8 or so people. The guys behind the counter are incredibly friendly and are clearly passionate about what they do and it shows in the food. 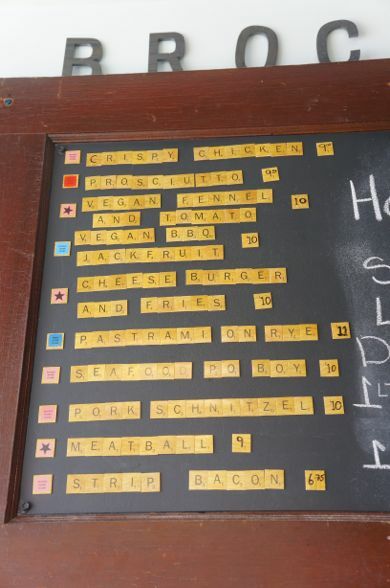 Brock Sandwich offers a selection of sandwiches including the shrimp & squid po’boy, vegan BBQ jack fruit and pork schnitzel. Priced at around $10 per sandwich (without sides), they are by no means cheap but they are worth the extra couple of bucks. 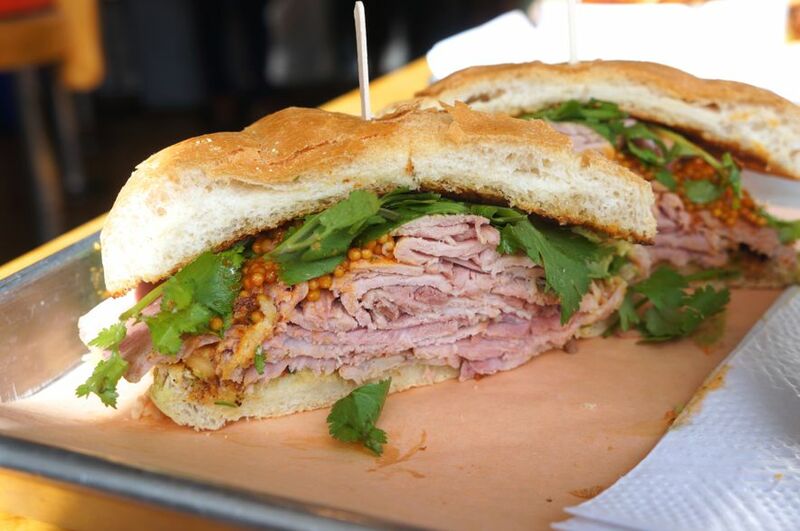 We decided to go with a special that caught our eye, the Smoked Ham Sandwich – with spicy pineapple salsa, guac, BBQ sauce & cilantro ($10). The sandwich consisted of layers upon layers of house-smoked ham. I loved the combination of the smoked ham with the sweetness of the pineapple and tang from the bbq sauce. Topped off with some creamy guacamole and grainy mustard, it was a damn good sandwich. It definitely isn’t the kinda ham sandwich I pack myself for lunch. 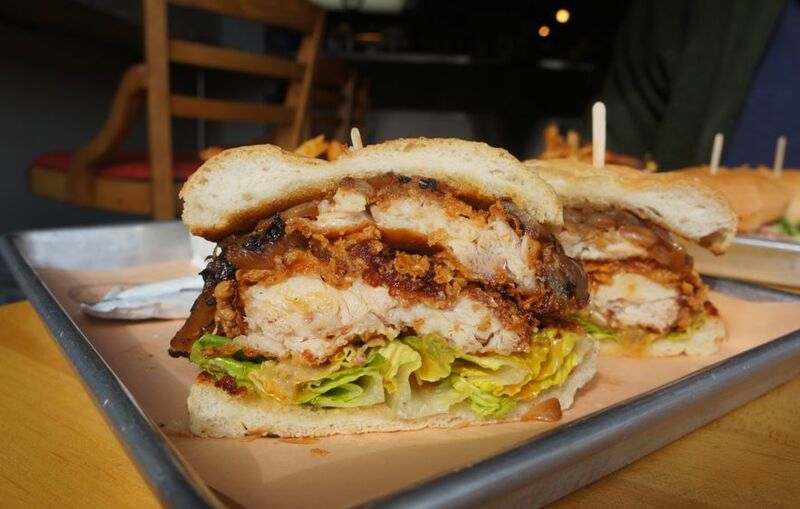 We had trouble deciding on a second sandwich but after hearing that the Crispy Chicken Sandwich ($9) is one of Brock Sandwich’s best sellers, we couldn’t say no. A soft white Silverstein bun is stuffed with buttermilk fried chicken legs which had this incredible crust to it. Super crisp with a moist and juicy interior! With iceberg lettuce, grilled onions and house-made piri piri sauce, this was one of the best fried chicken sandwiches I’ve had in the city. It’s no wonder this is their best seller! 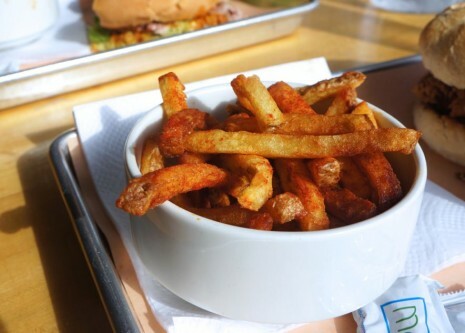 We also shared an order of Yukon Gold Paprika Fries ($3.50). Thin, crispy and heavily spiced with paprika. Very addictive! Overall, we had a wonderful experience at Brock Sandwich. I love their sandwiches and look forward to coming back for more. They weren’t voted #1 for the best sandwiches in Toronto for nothing!